FREE Waffle At Waffle House! 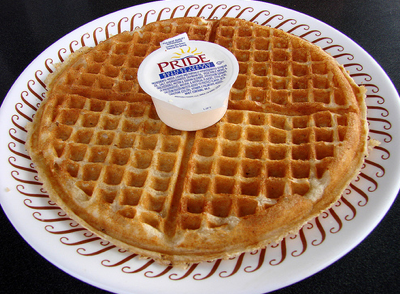 You are here: Home / FREEbies / FREE Waffle At Waffle House! Woo – one of my FAVORITE coupons is back! 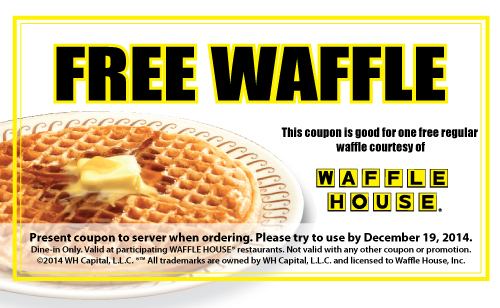 From now through December 19, you can use this coupon to get a FREE waffle at Waffle House! We love us some Waffle House, and we like to go on Sunday mornings, so this coupon will REALLY come in handy! It says limit one per customer, so you should be able to use one per person in your party!